What if we start the week with some music in Minecraft? 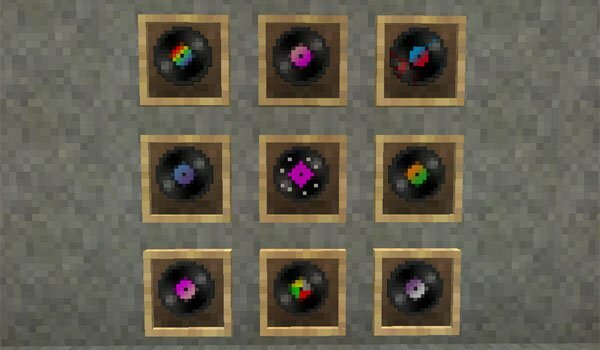 More Records 1.6.2 and 1.6.4 is a mod that adds new music albums. These new disks can be found inside the chests that are in the dungeons of Minecraft, and in chests of villages and temples. To listen we simply insert them into the record player. This is 8-bit songs, popular and varied groups asBlink 182, Coldplay, Deadmau5, Queen, Metallica, Maroon5 y Green Day, among others. How to install More Records Mod for Minecraft 1.6.2 and 1.6.4? Paste the downloaded mod file in the folder .minecraft / mods folder. Enjoy a great amount of music in Minecraft!